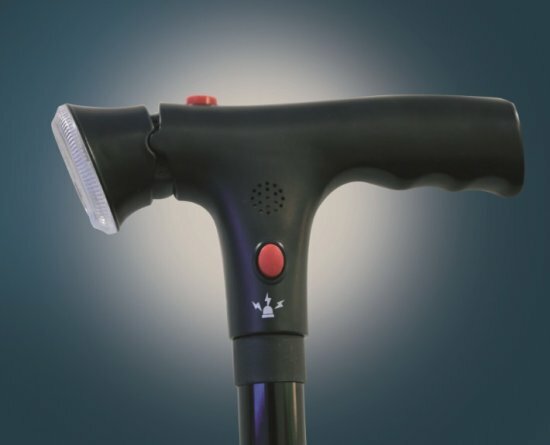 Clever cane has double handles for extra stability, adjustable height with 5 settings, an all terrain 360 degree pivoting base, it stands by itself for when you need both hands free, built-in tilting LED light for safe walking at night and safety alarm for emergency situations , and it folds up to go with you for complete versatility. 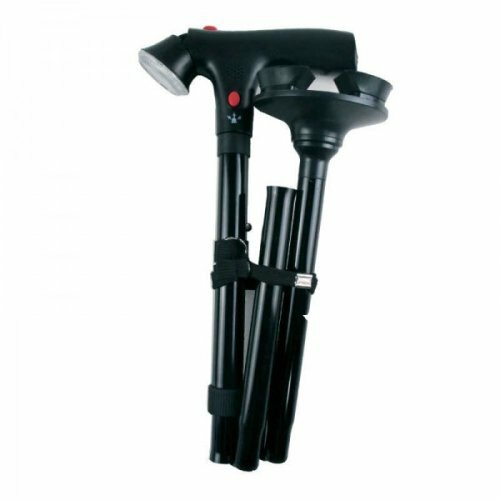 Be independent and order today the best-equipped Clever cane at the best price on the market. If you want to have the best-equipped cane with which you can independently walk, get up easier and not have to rely on others for simple everyday tasks, or if you are recovering after injury or surgery, then the CLEVER CANE is a right choice for you. 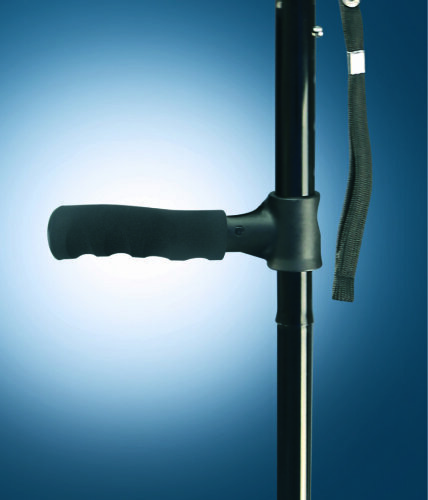 Clever cane, the best-equipped cane with two handles, gives you maximum support and stability so you can easily get up. This is ergonomically designed cane on which you can fully rely, regardless of your weight. Sit and get up alone, without other's help. The Clever Cane has a durable all terrain base for gripping support on wet pavements, uneven ground and slippery floors. The secret is the extra wide 360 degrees pivoting base with 3 stabilizer’s ensuring non-slip reliability. It’s so stable it stands by itself unlike those other canes. It is fully adjustable with 5 height settings extending from 86cm to 96cm, just click the extend pole until it locks into place for your perfect custom cane. It has easy grip handles and a handy wrist strap for added security. 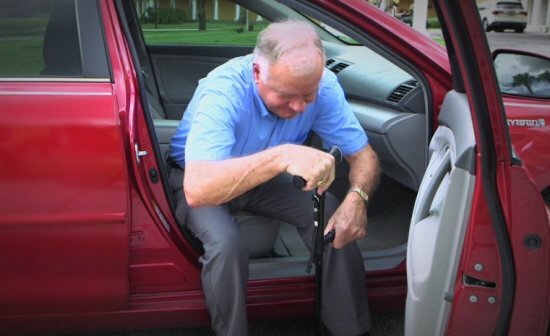 The Clever Cane folds up for easy storage so it goes where you go. It also features a powerful LED torch that pivots to shine straight ahead into the night. Or tilt down to illuminate your path for sure footed confidence in low light conditions. Plus, it even has a push button safety alarm, so if you feel you might be in danger. Or even just not feeling well you can simply push the button in emergencies. 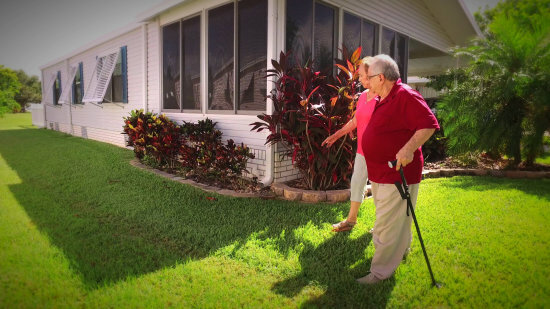 Now you can enjoy your newfound freedom and mobility and regain you independence with the Clever Cane. Maybe you just suffer from back or neck pain, or have a sports injury and need the extra stability. The Clever Cane is Rehabilitation Specialist approved so it’s the perfect tool to help you take the next step during recovery.